Employment lawyer Paul Whitfield answers questions on CCTV Employment Law. As an Employer can I use CCTV to Monitor my Employees? Q: I want to put CCTV cameras in the office to watch staff. Do I need to tell them? A: CCTV is covered by the Data Protection Act and as a result you need to tell your employees unless there are “exceptional circumstances”. This means only where there are grounds for suspecting criminal activity or equivalently serious misconduct. It should be targeted and stopped once that investigation is completed. Q: I just want to use it to make sure people are working hard. A: Then you would need to give the employees clear notification that you were going to do and why. You should consider if the adverse impact would justify the benefits. The Information Commissioner has produced guidance (Deciding whether to use CCTV or continue using CCTV) at http://www.ico.gov.uk. You should refer to that or take legal advice. Q: Can I use a video recording of an employee walking and carrying shopping when they are off sick with a bad back to dismiss them? A: In a recent case employers did this and the dismissal was held to be unfair. The Tribunal did not say that the video evidence could not be used but said it was not enough on its own to justify a dismissal. A lay persons interpretation of the film was not enough evidence to dismiss the employee. A proper investigation and fair hearing would still be required but the video could be part of that. 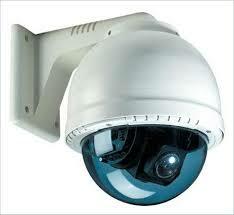 For more details on CCTV Employment Law Paul can be contacted on 0161 283 1276 or paulw@foxwhitfield.com. Fox Whitfield’s Head Office is based in Manchester with offices throughout the UK to help and advice on CCTV Employment Law.